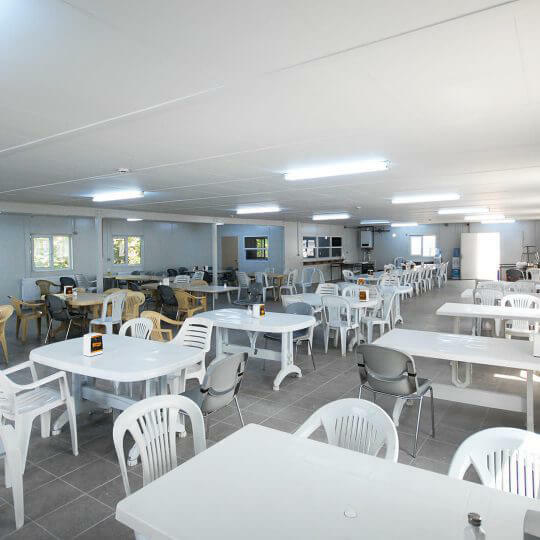 Founded in 1989, Prefabrik Yapı A.Ş. offers easy solutions with quality products in Turkey and around the world since then. Backed by strength of Hekim Holding, a leading and pioneer company, we serve to hundreds of countries in 6 continents. We are fully meeting customer needs with robust and reliable products that withstand all climate conditions at optimum level. 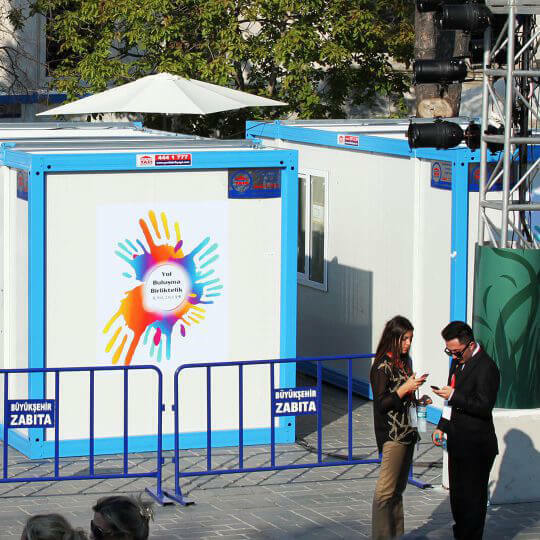 Expanding containers are often preferred particularly for symposiums and exhibitions for their easy mounting and quick use attributes. 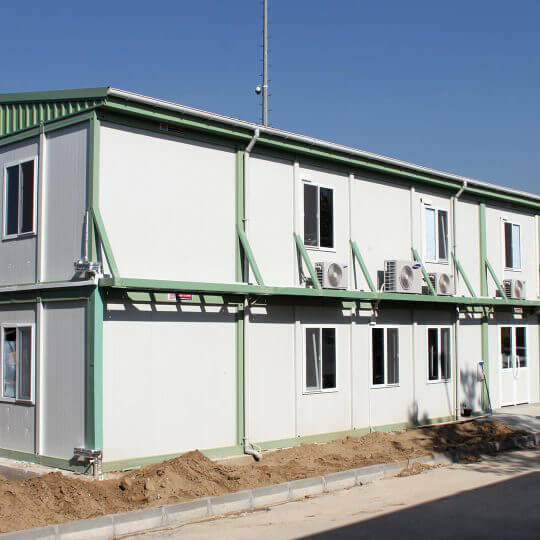 Custom made containers in different sizes are designed according to customer requirements. 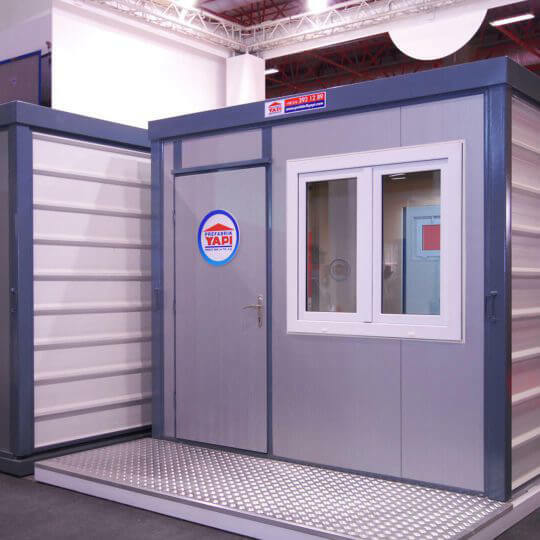 Products offering a safe use with thin and robust walls made of galvanized stainless steel also make difference with their aesthetic looks. 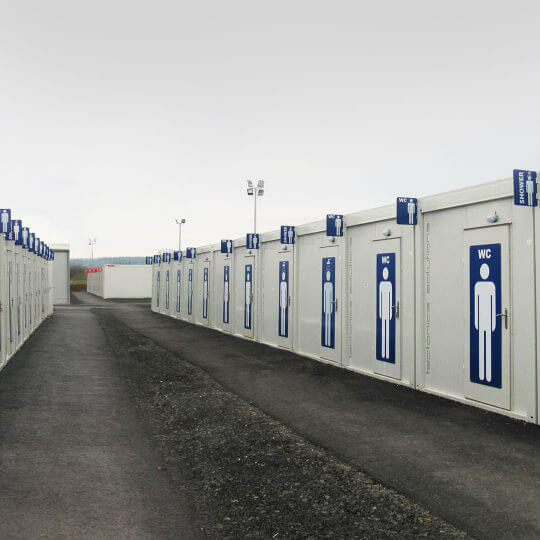 Structures with water, thermal and sound insulation allow outdoor use. Floor finishing is made of TPO membrane PVC using 16 mm fibercement. 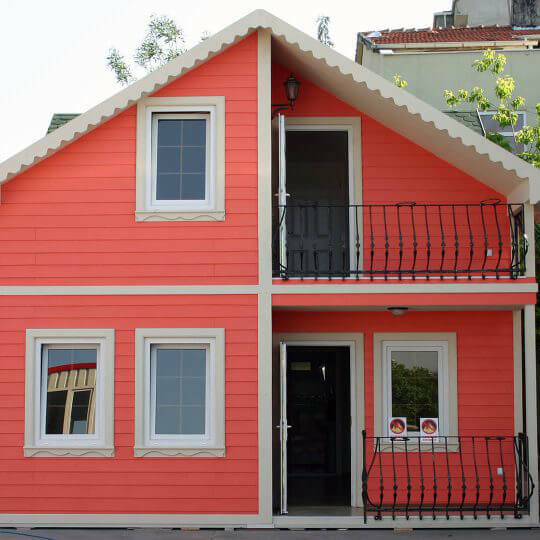 Thus, both high insulation and aesthetic look are achieved. Lighing of interior sections can be adjusted by optional window addition. 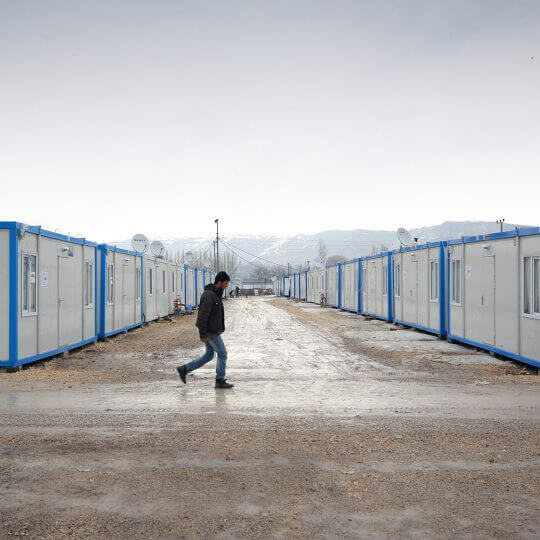 Containers also offer a very safe option against earthquakes thanks to light components and flexible joints. The walls which can be easily moved on slides manually stand out with their lightness and robustness. 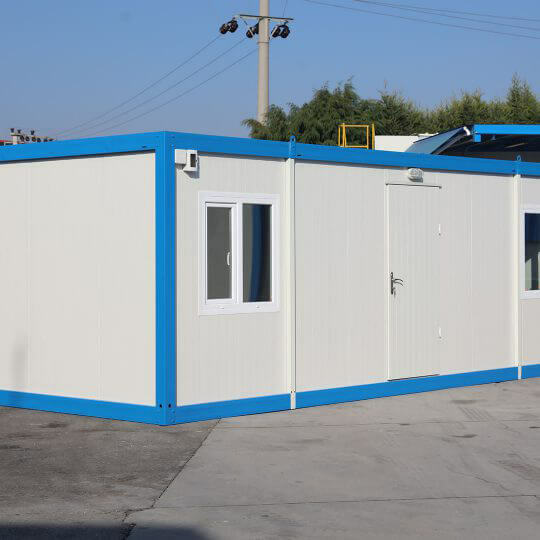 Expanding containers are transported easily, and placed on installation area using a special crane. Interior design can be changed using the frames on the sides. 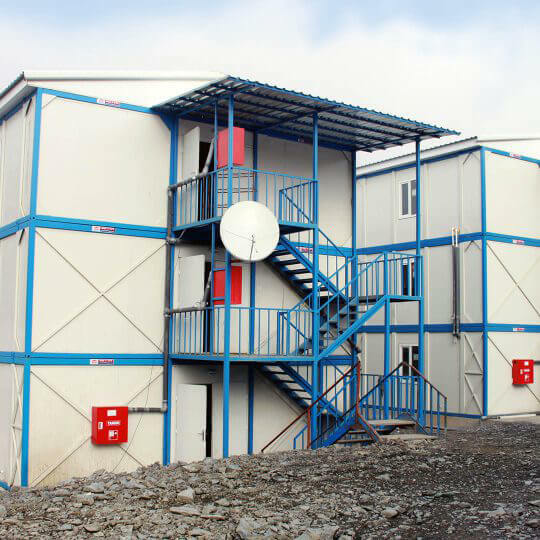 Modules can be partitioned into 2 to 4 sections by easily sliding interior modules on the frames. Products developed to serve multiple people can be custom designed provided that strength limits specified in regulations are observed. 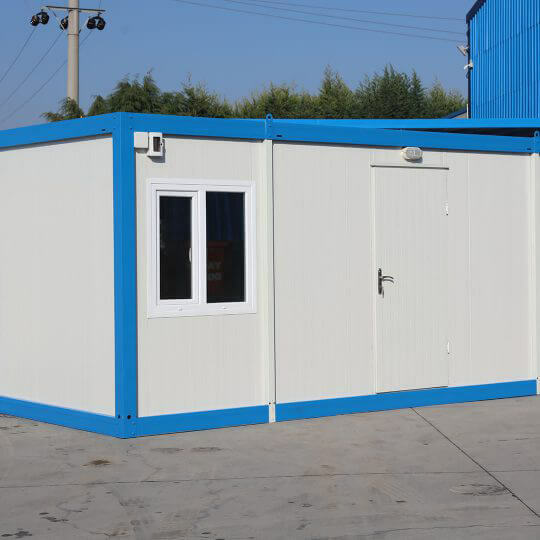 Containers are offered for sale mainly in two types. One of them allows interior module design change by moving the modules on slide while the other offers a unmatched freedom to users with the sections opening towards outside thanks to expansion feature. 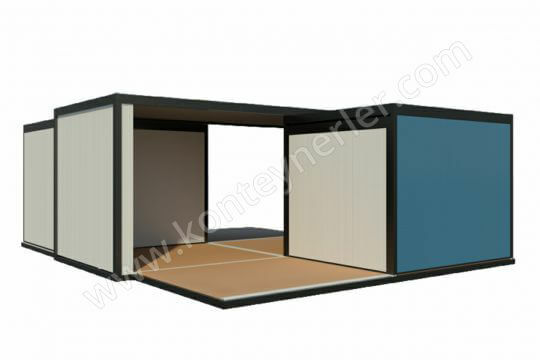 You can find detailed information about impressive expanding containers at www.konteynerler.com address. 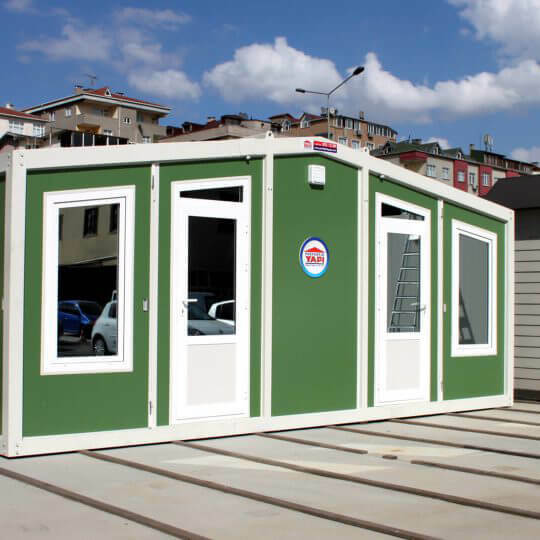 You can quickly have these reliable products with practical installation, and enjoy Prefabrik Yapı A.Ş. quality comfort.